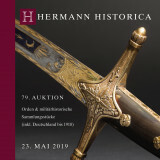 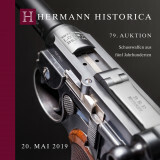 Our auction "Fine Antique and Modern Firearms from 5 centuries" includes 628 lots. 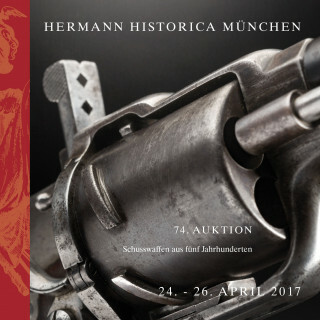 The descriptions are in German, with English translations of objects above a certain threshold. 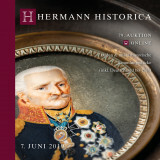 The printed catalogue has 404 pages on high-gloss paper in the format 21x21 cm. 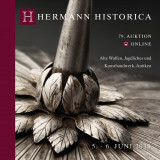 In our high-quality thread-bound catalogue with hardback (wipeable), all lots are illustrated in color. 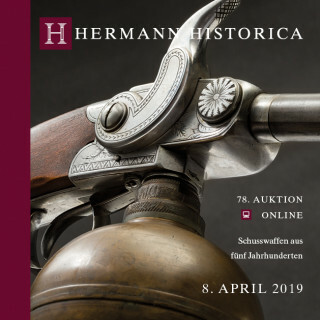 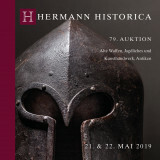 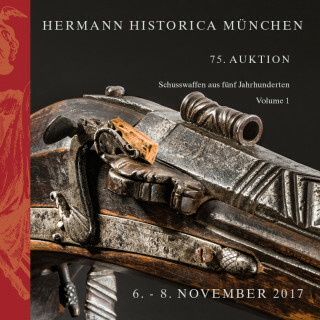 Our latest edition of catalogues for our auction 78 in March is - one is tempted to say: as usual - packed with exciting guns of all eras of gunsmithing. 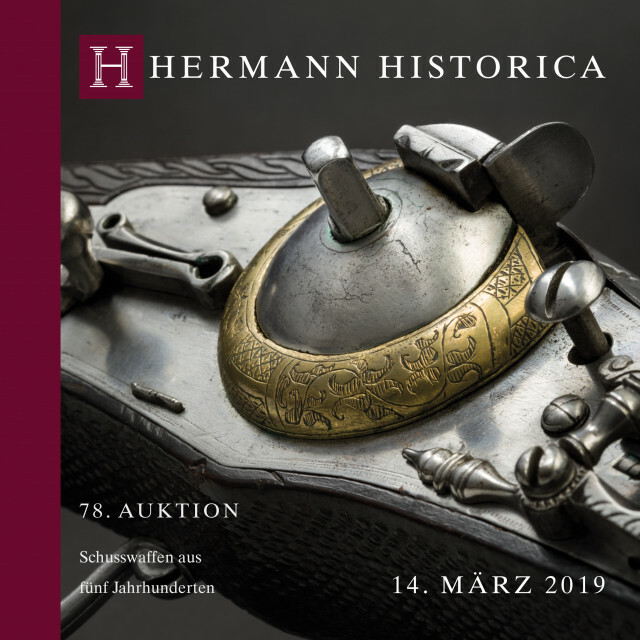 Of particular interest are two extremely well preserved yet untouched wheelock puffers from Saxony, one for officers, one for members of the guard. 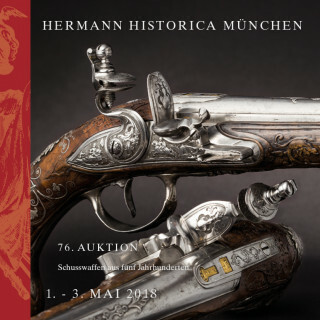 Of no lesser significance, but probably even rarer, are two flintlock rifles from two namesakes, Clett in Salzburg and Glett in Passau, one being an extremely scarce double-wender (=four barrels! 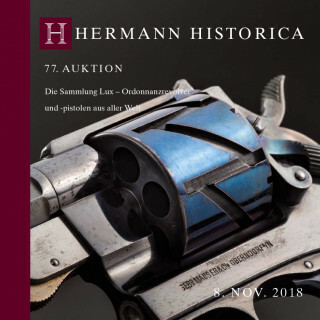 ), the other one an as hard to find all-metal shotgun. 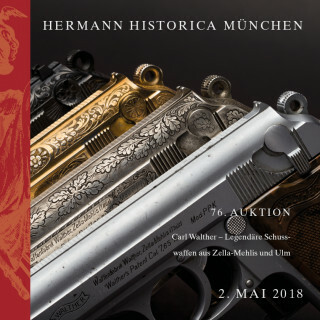 The technologically exciting decade of 1890 is well represented with three beauties of utmost rarity: a very early repeating pistol from Bittner in Weipert, a phantastic Schwarzlose 1898 and a well preserved Borchardt C93 from the early Loewe production run. 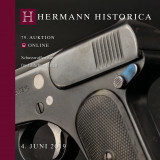 But don’t worry, not only the high-end of guns is well represented – there is great stuff for everyone and every budget, from service pistols, revolvers and rifles to hunting rifles all the way to well-built presentation weapons of the bourgeoisie and the nobility – of all kinds, from all over the world, in all price ranges!